Bedbugs are mainly active at night but are not exclusively nocturnal. They usually feed on your blood without being noticed. 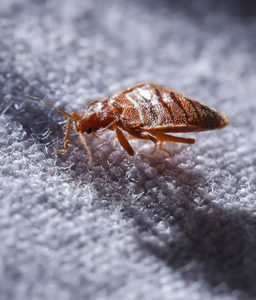 Due to the flat shape of their body, bedbugs can easily hide inside small cracks and crevices such as inside power point, behind the skirting boards, or inside the seam of your mattress. Bedbugs treatment has to achieve 100% eradication on the first treatment because the survivors would develop immunity to the same pesticide.